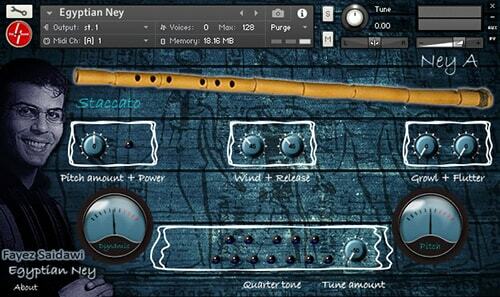 Egyptian Ney is a set of 3 neys: A,B, and C . Where ney A is more like a synth ney or a lead ney with fast attack designed for synth sounds gurus who want the ney to sound like a synth lead sound, and B is darker sound with slower attack that sounds more like a Turkish - Persian ney, and finally C which sounds more like a Kawala with mid attack and more airy sound. 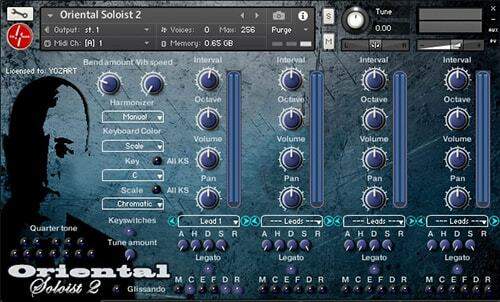 All sound samples are looped and scripted to work with Kontakt version 5.4 to get a realistic performance of the instrument as much as possible. 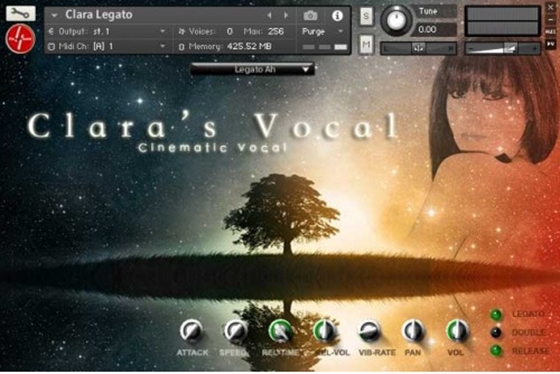 Clara’s vocal library is created to fit the needs of the modern composer and sound designer, the first version of Clara’s Library with a true authentic legato. In v 2.0 there are two Legato Mode “Ah “ & “Oh “ switchable by keyswitch , which will make it easy to change articulations including legato sound in real time.The keysitches includes staccato “Ah “ & “Oh. Release samples can be enabled/disabled with the ability to control their time and volume. Speed knob is provided to control sample offset - start of legato transition samples enabling user to control speed of legato. Vibrato is controlled with modulation wheel with the ability to control it's rate with a knob. Legato function can be turned on/off in case of playing chords for example. A unique function of having double Clara performance is provided through a button called double where user can get double Clara performance with different samples, round robins, and mic positions. Attack time can be controlled for all samples in the legato patch as well as the phrases patch.